Do you want a review of a really average breakfast? Yes? Ok! Scott and I had a free morning during our stay in Tulsa and decided to seek out a sit down breakfast joint. 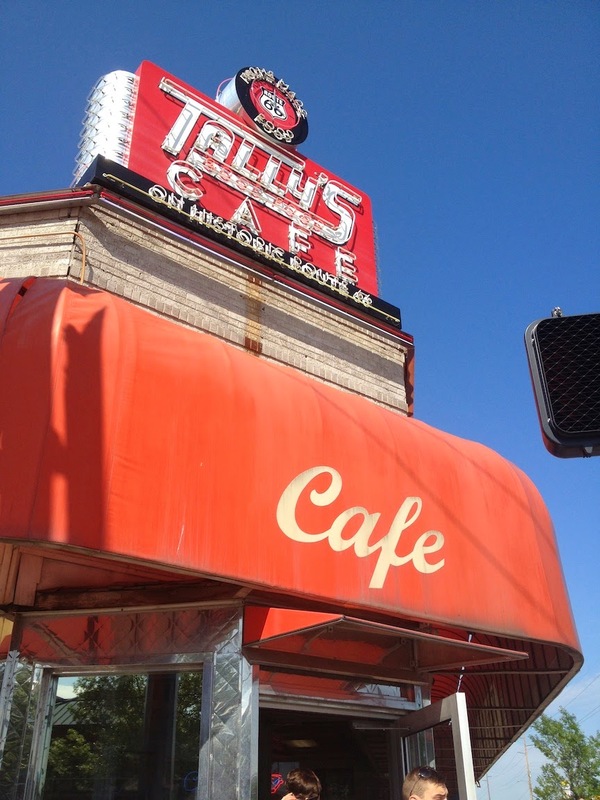 Located on historic Route 66 we pulled in to a full diner and took a seat in a big booth. I, on the other hand, stop that problem before it ever arises... I order my bacon crispy! It never fails to come out perfect everywhere I go. So, my bacon gets two thumbs up. I am still stuck on pancakes for breakfast so i ordered up a stack of carbohydrate goodness. The pancakes, or possibly the syrup, tasted like black licorice. I don't mind black licorice, in fact I quite enjoy it. But a plate filled with the taste, bite after bite in dough form really wasn't as appetizing as I had hoped for. I have to admit I made an ordering mistake. I saw Strawberry Cheesecake Pancakes on the menu and did not order them. How much more fun would this review have been if I took the chance and ordered something silly like that?